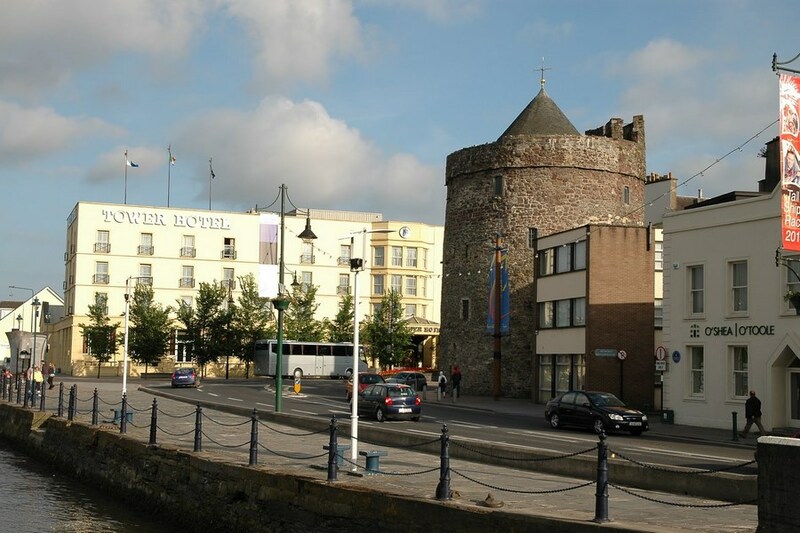 In the heart of Waterford city, overlooking the marina, the Tower Hotel & Leisure Centre is the perfect venue whether you are visiting Waterford for business or pleasure. 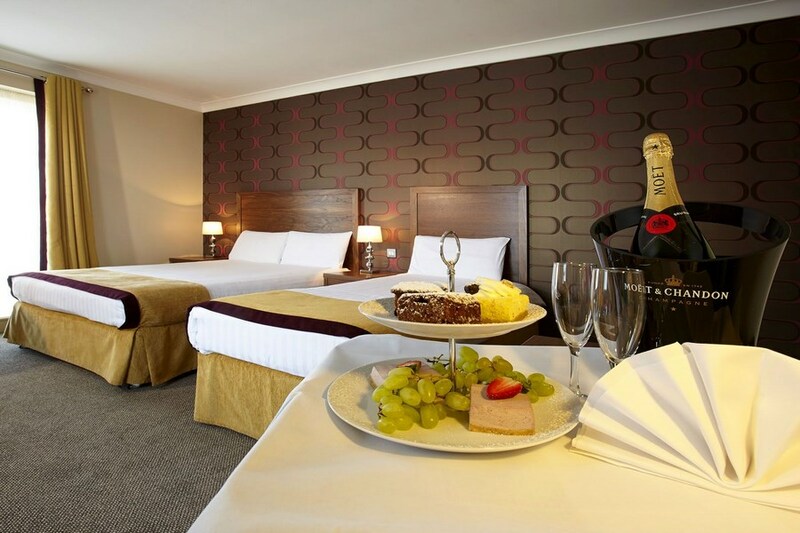 The Tower Hotel & Leisure Centre is one of the best family hotels in the South East and is popular with visitors who wish to play golf, shop or simply take in the sites during their time in the city. The hotel is on the Mall in Waterford City Centre. From its vibrant city life to its rural charm and stunning coastline, Waterford has something for everyone. Waterford is the oldest city in Ireland and is the perfect blend of ancient and modern. From beginning to end could not fault this hotel. party of 4 friday 24/3. The reception staff, bar staff top class. We ate in the restaurant and the waiting staff couldn't have been more helpful, two course meal included which was very enjoyable. Entertainment was brilliant. If you want good food, comfort and at a good price then make the Tower your choice. Highly recommended. This is our second staying at the Tower Hotel. The staff are very nice and helpful and we very much enjoyed our stay. I was really delighted to be able to order the cold platter for breakfast as I do not like the buffet hot breakfast would definitely say this Hotel is between a 3 and 4 star. Dinner was very nice and the staff in the restaurant are very attentive and efficient. There was music in the bar that evening which was a bonus. We stayed here last weekend on a Saturday/Sunday night break. On arrival we were informed that we had been upgraded free of charge, what a lovely surprise. We had requested an early check-in to avail of the leisure centre etc and were accommodated without any problem. Our room (202) was lovely, a fair size and had all the bells and whistles you'd need on a 2 night stay. It faced out onto the main street and some might find the traffic a problem but we were just fine and never closed the window during our stay. 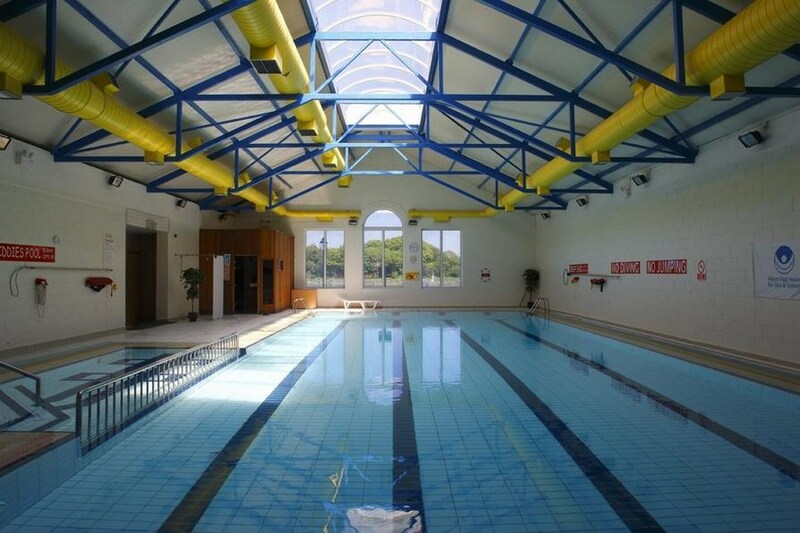 The leisure centre is not overly big but it does the job and nothing was too much trouble. We did not dine in the hotel as we had arrangements made with friends so I can't comment on the evening fare. We did have breakfast there both mornings and the food was of a good quality, plentiful and hot. The staff are super friendly and did their best for everyone. My only gripe (and it's a very minor gripe) is the toaster. There's only one and it takes forever and even then you have to put the bread in a second time to have it actually toasted...and yes it was turned up to highest setting. It was busy on the Sunday morning and the queue for toast was long. It's an easy fix folks and hopefully it gets sorted. Other than that everything was super - the hotel is perfectly located to take advantage of all that Waterford has to offer. Go and enjoy, it's well worth it. Thanks to all the staff in the Tower for a lovely break. Good on ye. We, as a couple, stayed for one night midweek. The staff were friendly and courteous. The room was clean (we had a lovely view of the air conditioner! ), there was plenty soap and good towels. The breakfast was varied and tasty. The location is very central and there is a small carpark to the rear. I can't comment on the leisure centre or the restaurant, as we didn't use them, but the bar was comfortable and friendly. In the morning I noticed there was a kids club, useful if you wanted to go shopping..Overall I give it 4 stars and would recommend it. The staff are very friendly and made us feel really welcome. The dinner and breakfast at the hotel were good and in particular the breakfast. We took a drive to Tramore and had a walk along the strand. We also walked the short distance from the hotel to Waterford Crystal and the Museum both of which were really good. The hotel is nicely situated. One issue is that the parking area to the rear of the hotel is cramped but we did manage to find a space. Overall however we had a great time and enjoyed our visit. I never usually write reviews but I feel the Tower Hotel really deserves one. The entire hotel was lovely. The rooms were clean and comfortable with all the usual facilities. We had dinner in the hotels' restaurant that night which was served in great time and tasted great! The staff continuously checked on us to see if we needed anything else and were so friendly, laughing and joking throughout the evening. The next morning for breakfast, there was a huge variety to choose from and plenty of everything. I really enjoyed my stay in the Tower Hotel and will definitely go again. The only thing I can fault is the wifi wasn't great in the room (at the back of the hotel) but I wasn't there for much of the time so it wasn't really an issue. Hotel very comfortable and breakfast good. Rooms were extremely warm and we were glad of the fans they had in the room. We booked 2 double rooms both for people with mobility difficulties. One room had a walk in shower which was great and a king size bed and the other was a smaller room with a double bed and a much smaller bathroom and a small shower . The larger bedroom had the tea making facilities on a high shelf which would have been difficult for a wheelchair user. Staff were very friendly and helpful. Good location for the town centre. Advised we were getting upgraded to a quieter room when we were booked in, however the noise levels were quite high here also. Shower was broken, bed sheets are pretty worn, need to be replaced. Dinner was lovely, the size of desert was very small, however what we ate was lovely. Breakfast was ok, nothing wrong with it, just not much taste to it, and no pastries. Staff were extremely friendly and they had a child entertainer in lobby over the weekends. Leisure staff were extremely helpful by offering a family changing room and you can see they were making sure all their pool maintenance checks were been carried out, pool could do with been another few degrees warmer. Have stayed in hotel in the past and probably will again in the future as its quite central and free carparking. Great hotel. Only stayed for one night but loved it. Food is lovely swimming pool and all facilities are great. The room was very nice. Would highly recommend this lovely because it's a ten minute walk into the city. A wonderful place to stay. Would highly recommend it. The Leisure Centre is a real bonus. went on a 1 night stay with my husband for a relaxing break and that is exactly what we got in the Tower Hotel staff very friendly and nice enough decor in the hotel leisure centre there but we didn't have time during our stay to use it ate in the restaurant and the we both thoroughly enjoyed our dinner, absolutely gorgeous. Breakfast served up to 11 am on weekends which really was great made the stay all the more relaxing. Buffet breakfast very nice with plenty of variety. Would recommend this hotel for its friendly staff , food, and great central location. very satisfied with our stay in the Tower Hotel. great location, very helpful staff. excellent evening meal and very good breakfast. Very clean and comfortable with an attractive, fresh décor. Good Hotel and good helpful staff. I did get fed up though with the same root vegetables every day. The Hotel WiFi extremely slow that weekend and to make matters worse I was given an incorrect printed code on the Friday. On Saturday morning I got the correct code from a guest who had also being given an incorrect code. The Senior female Receptionist was not at all helpful and maybe even rude when I approached her about my WiFi problems. Overall a good Hotel to stay in and would book again. we had an excellant stay in the Tower,we were celebrating a birthday and the staff couldn't have been nicer, I would highly recommend the hotel and look forward to returning, the rooms have all been refurbished and are very clean and modern. The hotel is in a great location and is walking distance to shops etc, also its a great base to have to explore the area, the only negative is the spa isn;t very luxurious! We found our stay in the Tower Hotel a very pleasant one the room was very good breakfast was great next time we plan to have dinner in the hotel. Spend a night in the hotel with my 10 year old niece. Well situated hotel, easy walking access to all shopping and local history sites. Free car parking also a plus. Our room was nice and spacious. The staff were very friendly and check in/ check out very fast. Leisure facilities are nice but dressing room could do with an update. We had a great visit and would come back again. Well located hotel with a nice bar and bistro area. Room was large and spacious but had no air conditioning.Very basic leisure centre which needs a facelift. Staff were not overly friendly which lets down the hotel. We recently stayed in the Tower Hotel and we could find no fault in any area. We were delighted with the service from the receptionist to the dining room staff. Everyone was courteous and very helpful throughout our stay. The bedroom was very comfortable. The location of the Hotel is excellent too for strolling along the quays and for shopping. The choice of food for dinner and breakfast was great. We will be back. Hotel very central. Every member of staff were very friendly and couldn't do enough for you. Food was good. We had budget rooms and some were very small but all in all, couldn't fault a thing. Would definitely recommend this hotel and I wouldn't hesitate to book this hotel again. Great place very central the staff are very friendly and helpful... Very clean hotel and the leisure centre is great too.The deal of dinner bed and breakfast was great value for money.. I was at the tower st patricks wend, check in was quick and friendly staff.The room was lovely and spotless from the smell i would say it was newly renovated, it was very warm in room that wend had to leave window open and in bar that night had to ask for aircon to be put on which was done. Breakfast was lovely and plenty of it. Only a little thing the shelve with tea making facilities was a high, lovely to see mugs but couldn't see how much water i was putting in could get scaled if not carefull and i am tall could see it a problem for some one smaller in height. Had a lovely stay would highly recommend the tower hotel will be back soon. Also location is great. Our weekend in The Tower was great from start to finish. There were eleven in our group and we were treated really well by all the staff. We go away a lot and this was the best ever. Great value too.We will use this site again. Just back from this hotel stayed der for paddys wknd,absolute brill hotel.it has everything pool,gym,sauna,etc.the staff were excellent it was my sisters birthday n dey cudnt do enough for us.i wud definitely recommend this hotel. I wud give it 10/10.thanks to all the great staff for a fantastic wknd. Very good hotel, everything was perfect, staff was very nice n friendly, rooms were spotlessly clean, food was excellent, couldn't fault a thing about this hotel. We stayed here for a weekend break starting February 21st and really enjoyed it. The hotel was beautiful and spotless clean and staff was very pleasant. The restaurant food was superb. Would highly recommend. I would highly recommend this hotel the food & staff first class. We look forward to returning. Hi There a big thanks to all the staff at the Tower Hotel, we stayed there last weekend and had a brilliant time with great value. All the staff are fab and can't do enough to help. Would definitely stay there again and reccommend it to others/ Thanks again. Colette and Dave From Cork. excellent stay. unfortunately no view from room. This hotel is well situated, very clean, bar and restaurant were lovely, food was great in both restaurant and bar with excellent friendly staff.